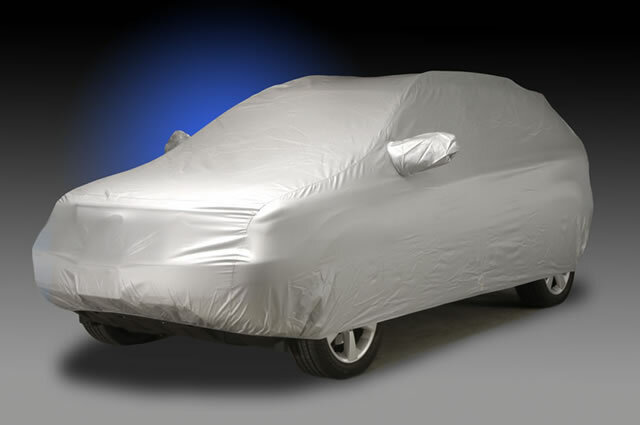 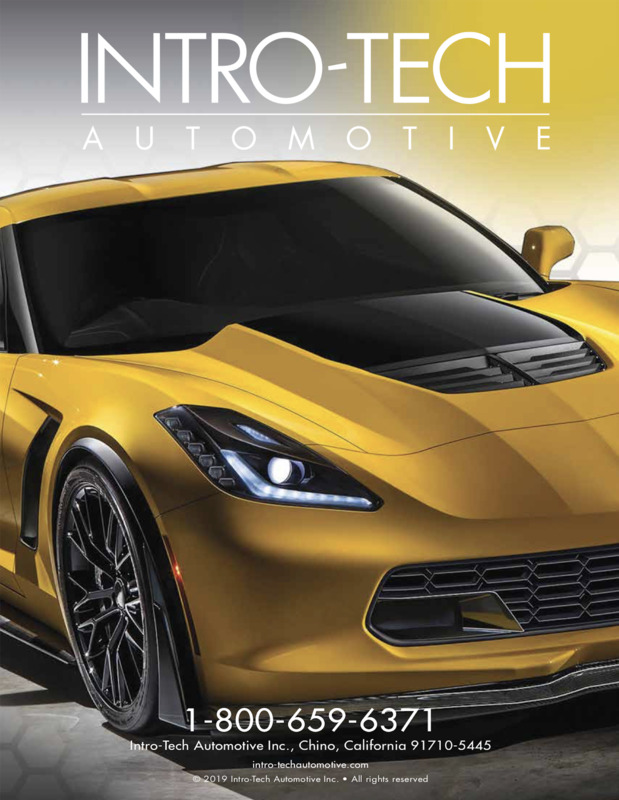 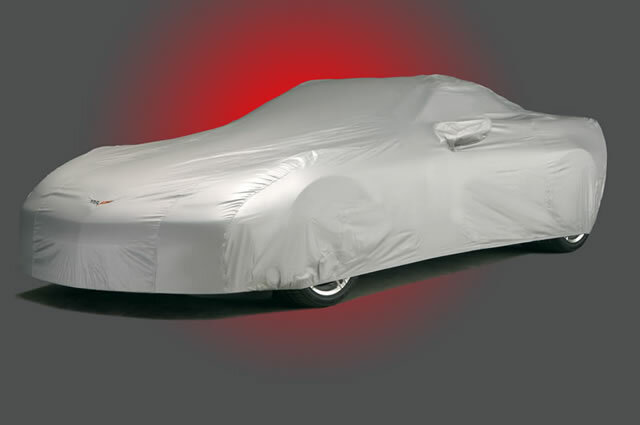 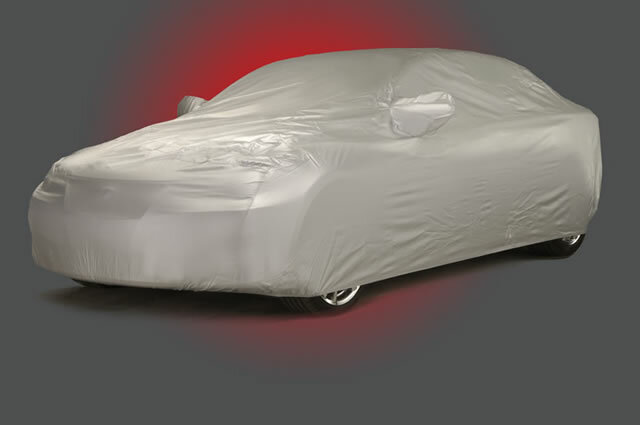 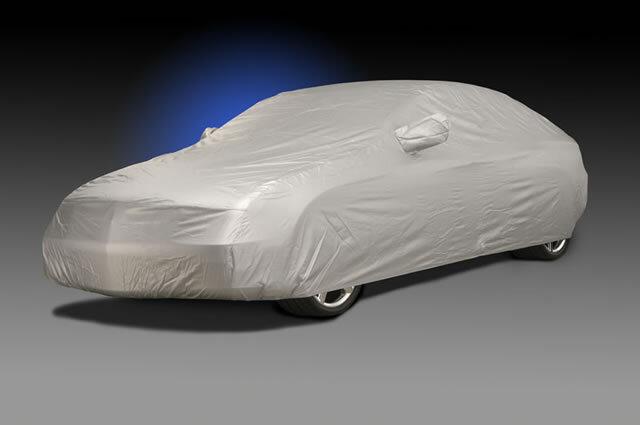 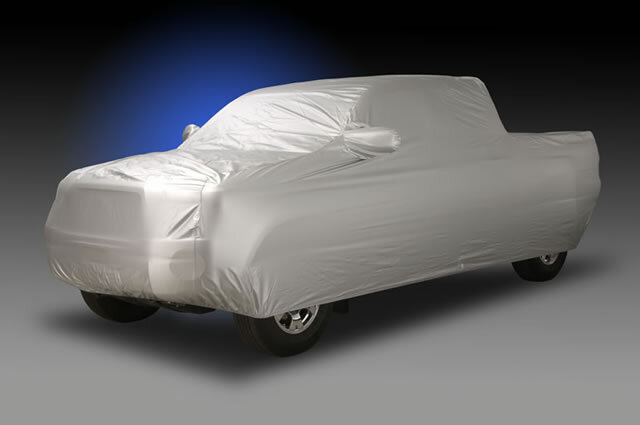 The Intro-Tech Automotive INTRO-GUARD® Full Custom Car Cover is manufactured for a custom fit using a superior quality 150 Denier woven polyester fabric which is Intro-Guard coated with an aluminized polyurethane acrylic. 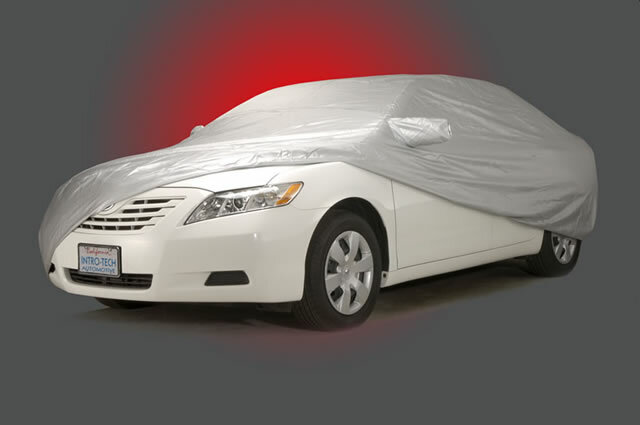 Soft and non-abrasive to clear coat finishes, it is an extremely lightweight and highly protective full custom car cover. 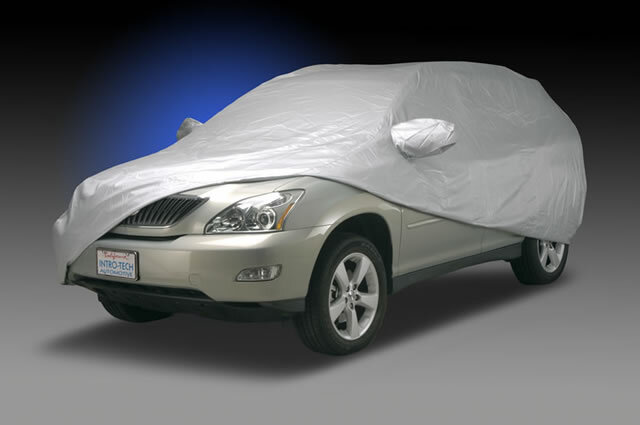 Nearly waterproof, yet breathable; it will not absorb water like most perforated fabrics. 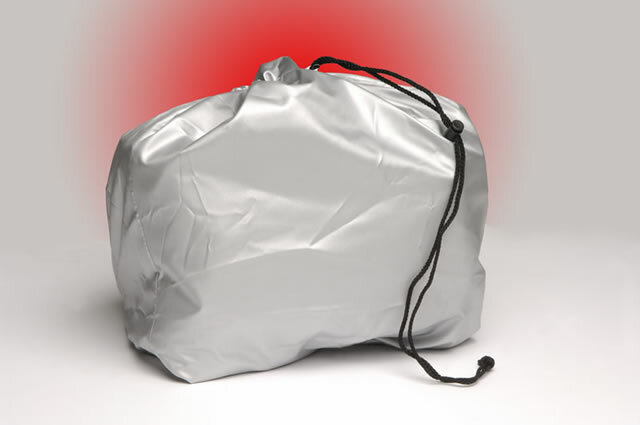 Goes on and removes in seconds, with storage size no larger than a 12 pack of soda. 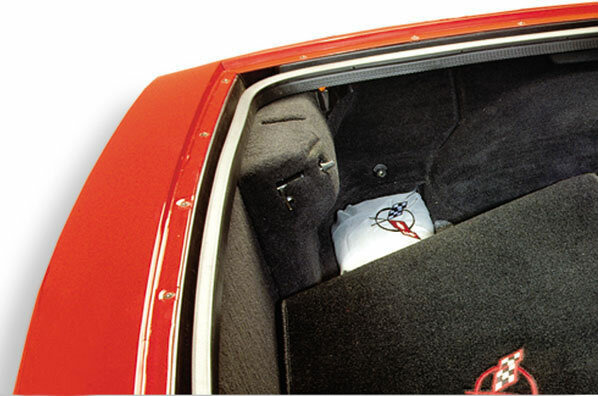 Complete with custom tailored mirror pockets and eyelets for cable lock kit, it is designed for a snug fit all around with long and low coverage to keep wheels clean. 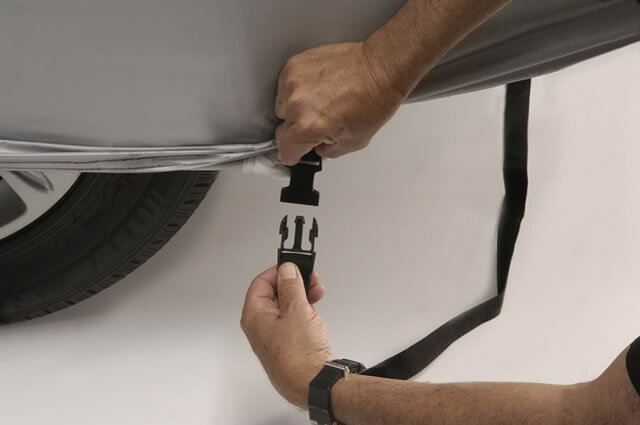 The innovative all weather lock strap® system, positioned in front of the front wheels and behind the rear wheels make it both storm and high wind resistant. 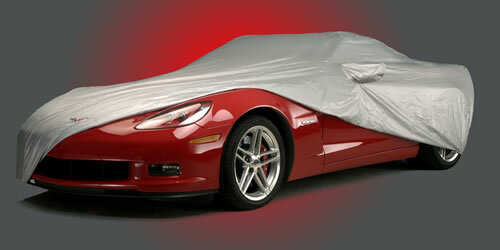 Available with both custom logo and script embroidery, personalizing your car cover is a now a reality. 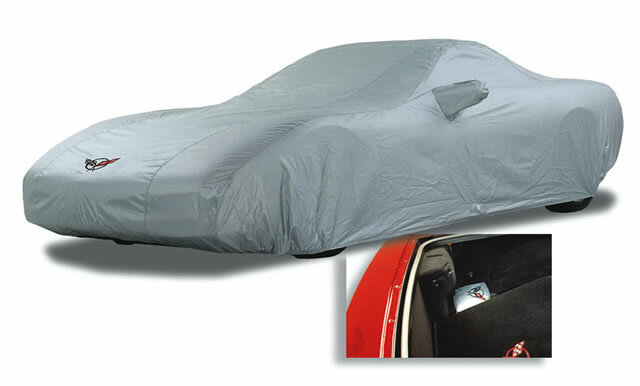 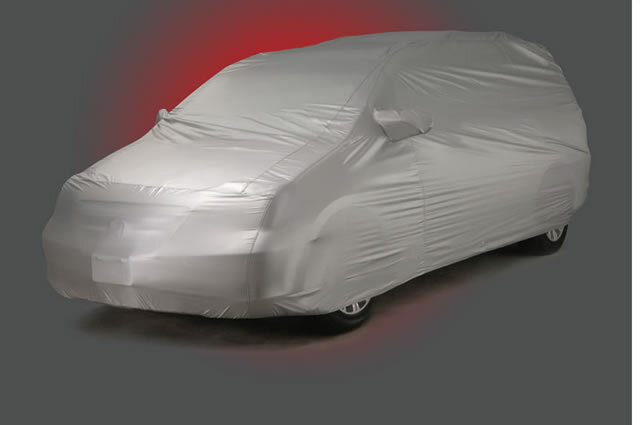 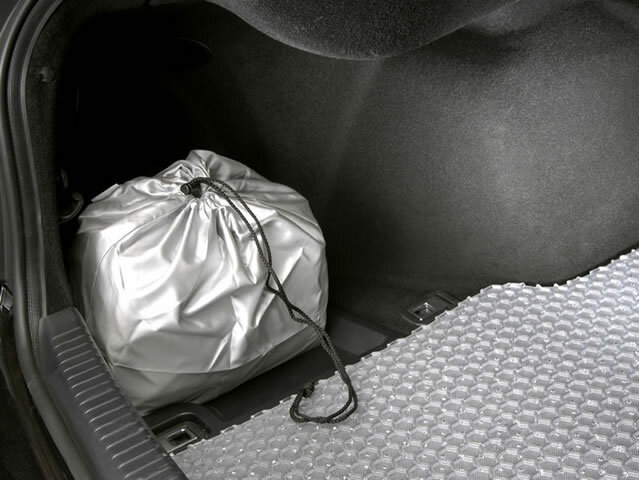 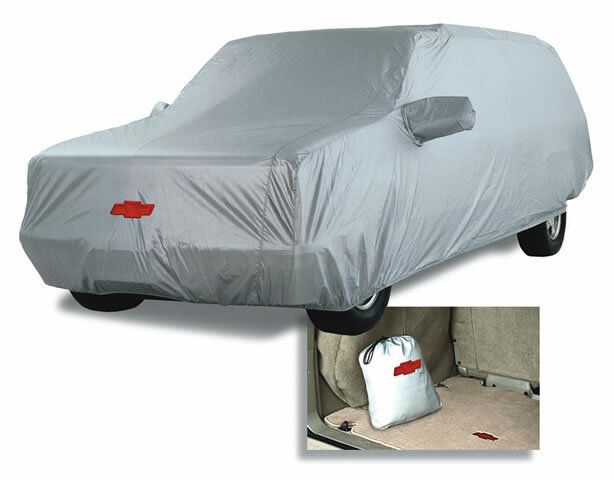 In addition to being the only lifetime warranted car cover on the market today, it comes complete with both a storage bag and cable lock kit at no additional cost. 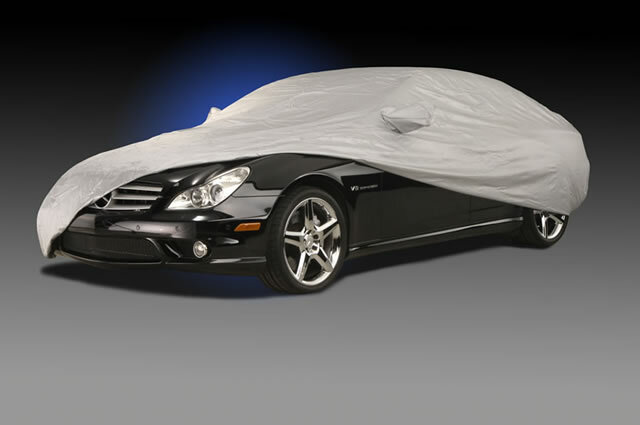 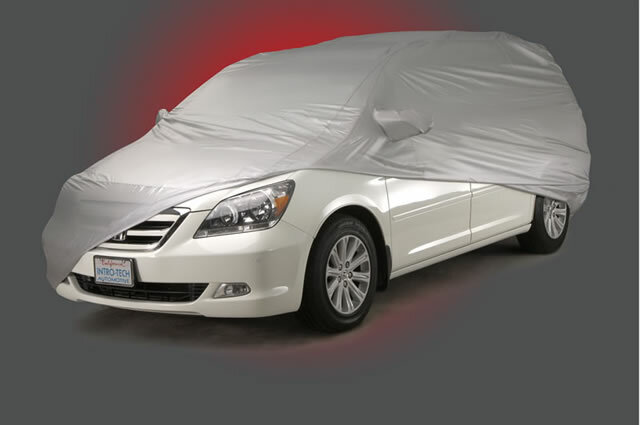 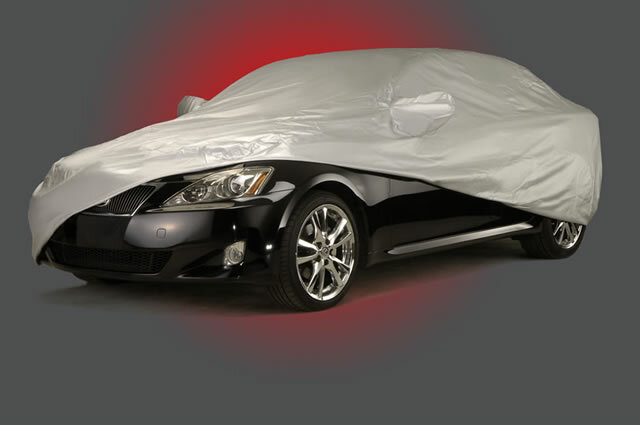 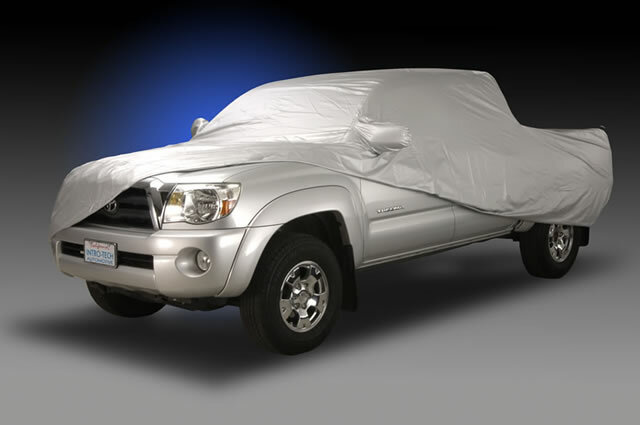 This ultimate Full Custom Car Cover is engineered for both inside and outside use, it is a must have accessory for all owners desiring to protect their vehicle from all weather elements and extreme high/low temperatures. 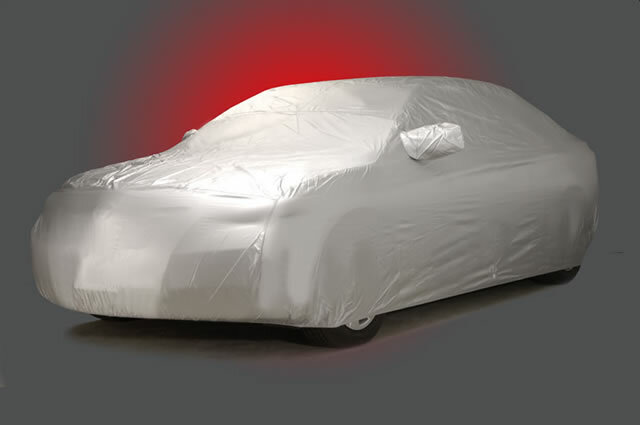 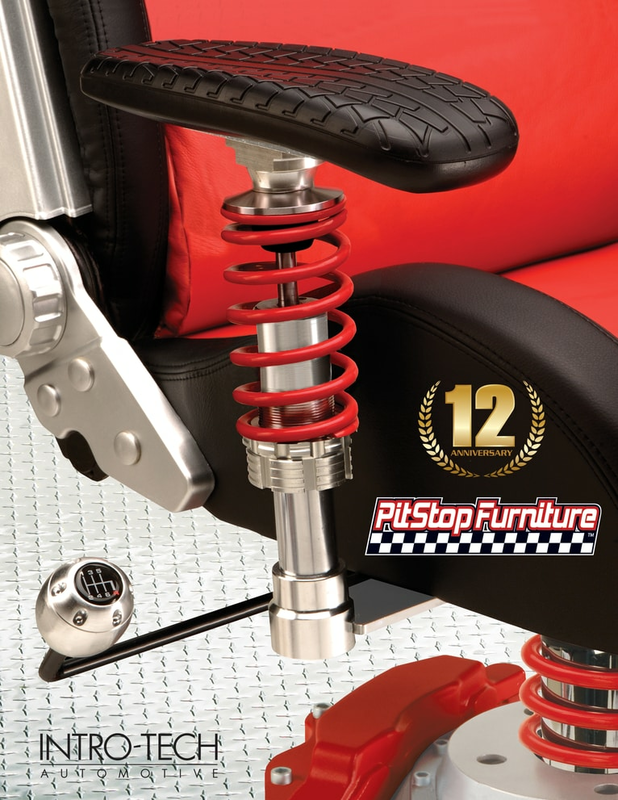 Available in 100’s of full custom fit applications for cars, trucks, SUV's and minivans.